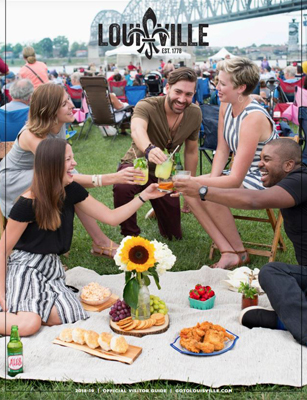 Bourbon Barrel Foods"Bluegrass Meets Modern French"
Surprise Pop-Up Chef Dinners in Louisville's coolest locations! Enjoy 5 course dinners from Louisville's top Chefs with premier wines, beers, and spirits in the coolest themes and locations in Louisville. Each month- join our Pop-Up Chefs Dinner Facebook group to stay in the loop of upcoming dinners or purchase a annual package. Each dinner maxises out at 50 guests. ***Locations and specific event times will be released 2 months prior to each event. We will submit a form to guests after their ticket purchase for any food allergy specifics. Dishes are not customized and are Chefs choice. Each dinner will be themed to match the hosting venue. To start out the series, M.E. hosts a test dinner to get to know what our clients expect in their experience. We value all our guests feedback and use this as a mock trial before we launch into the series. Michaelis Events will be hosting two Test dinners before our Pop Dinner Series Launch in May. Each test dinner, will follow the same format as the Pop Us Series Dinners, but tickets will be offered at a discounted price. Additional information for the March and April test dinners are listed on the individual tickets. HAVE ALLERGIES OR FOOD REQUIREMENTS? Although our dinners are chosen by the Chef, we do try hard to be respectul of your dietary needs. Please fill out your food requirement needs in the ticket form, once you click to purchase your ticket. Due to the exclusivity of this group, we do not offer refunds. We do suggest that, if you cannot attend to post them on our Facebook Group "Pop Up Chef Dinners in Louisville" and we are sure someone will be more than willing to purchase them from you! We do proffessionally take video and pictures of our ticketed events. Purchasing the ticket validates your consent to have your picture taken and shared on social media. We do not tag guests in our content online but encourage you to attached yourself in any visual media if you desire.